Immunotherapy as a cancer treatment may be cutting-edge, but it has a history. It’s the result of years of work by many dedicated researchers, some of them now justifiably famous. 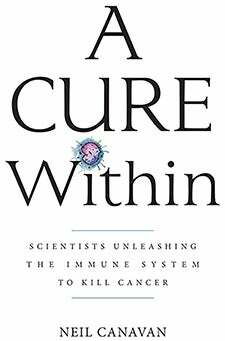 One of Cold Spring Harbor Laboratory Press’ latest books, A Cure Within: Scientists Unleashing The Immune System to Kill Cancer by the science writer Neil Canavan, documents the field’s amazing progress through interviews with the investigators responsible. Most of the book’s chapters chronicle the careers and contributions of brilliant scientists who made these next-gen treatments possible. Canavan has written these stories in a way that is accessible to readers of all science literacy levels. A Cure Within: Scientists Unleashing The Immune System to Kill Cancer is currently available from CSHL Press.